With billions of gigabytes of data created every day, handling this enormous amount of data is getting morecomplex and even more difficult. No one has the time to scan through each and every file or logs to fetch the desired data. Big Data Applications are the saviors in such situation. 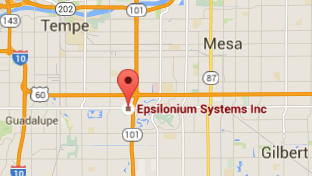 Epsilonium offers seamless big data handling solutions that make the desired data available at your fingertips. The major challenge that big data throws towards organizations is reduced control and poor visibility of the massive amount of data. Epsilonium’s Big Data Applications put you back in control enabling better and faster decision making. Our solutions help you find the root cause of the problem being faced or inefficiency not in days or hours but in minutes. Sometimes it’s tedious to scale the performance of various aspects or monitor online transactions or cross check all the logs. Our big data services provide you insight of your business activities and let you access each and every byte of the desireddata with ease. With state-of-the-art big data handling services we bridge the gap between development and operations giving a snappier experience and enabling quicker decisions and new applications’ launch. No data is too big for us to manage. Our track record and testimonials say it all.